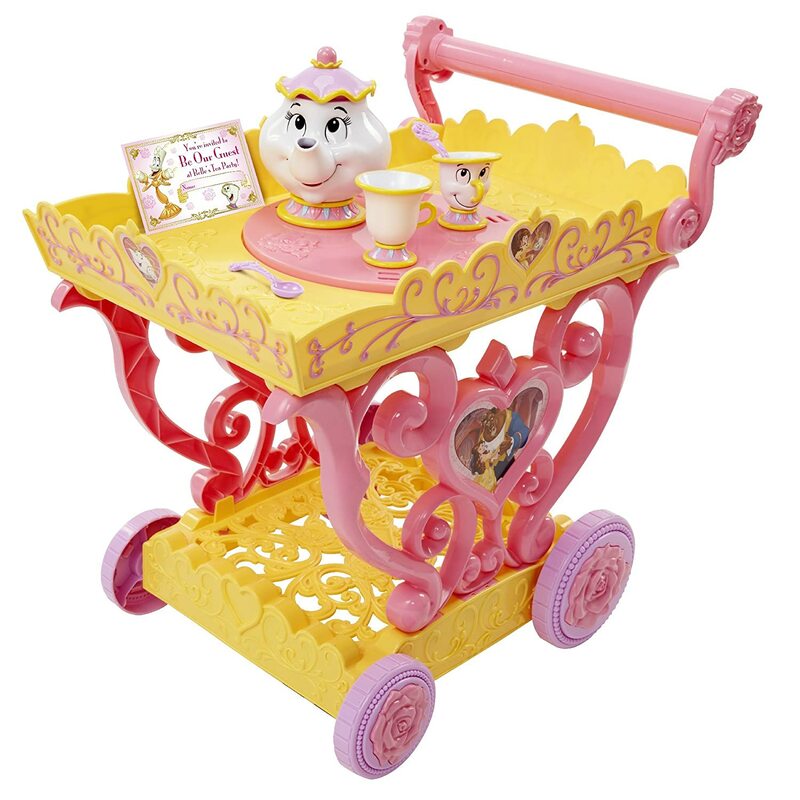 DISNEY PRINCESS BELLE MUSICAL TEA PARTY CART The Disney Princess Belle Musical Tea Party Cart is an authentic, flowery play set based on Disney’s classic Beauty & The Beast story. As you’d expect from a cart, it’s portable! Kids can enjoy pushing the cart around. It features a Mrs Potts tea pot, two tea .. The Disney Princess Belle Musical Tea Party Cart is an authentic, flowery play set based on Disney’s classic Beauty & The Beast story. As you’d expect from a cart, it’s portable! Kids can enjoy pushing the cart around. It features a Mrs Potts tea pot, two tea cups and spoons and an invitation to the tea party! When a button is pressed, the tea set will spin around on top of the cart and the iconic ‘Be Our Guest’ music track will play. 3 x AA Batteries are needed to operate the product, but are included with the product. Please note there is a fairly small degree of assembly with the product…nothing too complicated though! Younger children tend to love playing with tea sets, as it gives them a chance to play at being grown ups drinking highly civilised drinks! Even better with this product though is the added theme, cart and electronic elements which helps those vivid imaginations to be even more amazing. WHO’S IT FOR: Disney Princess & of course Beauty & The Beast fans aged 3 & over. 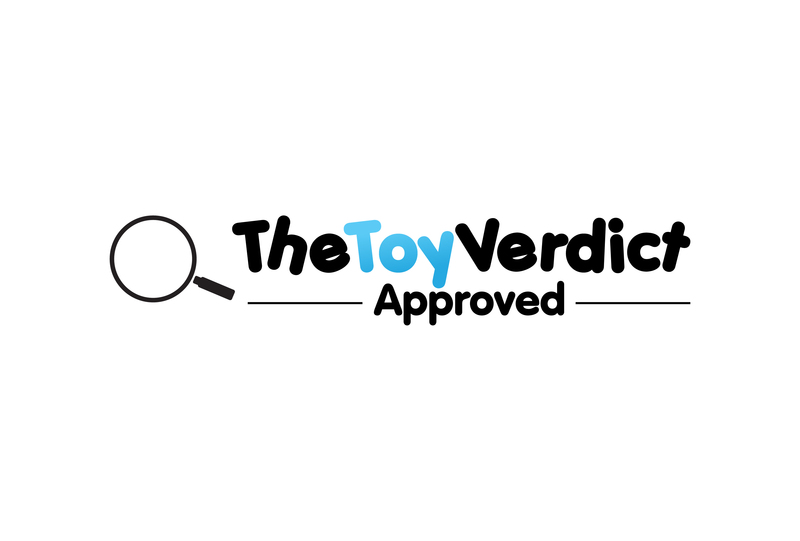 THE TOY VERDICT: The Disney Princess Belle Musical Tea Cart is an imagination inspiring authentic toy which will be loved by children who like Beauty & The Beast.